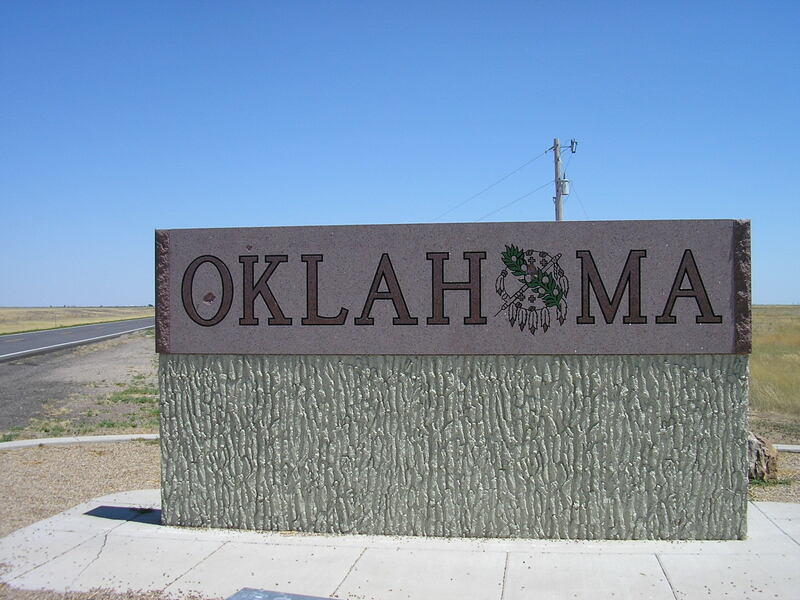 The State of Oklahoma is located in the South Central region of the United States of America. 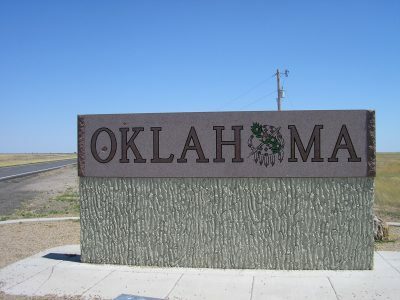 Oklahoma City or OKC as it is commonly known, is the Capital of the state. 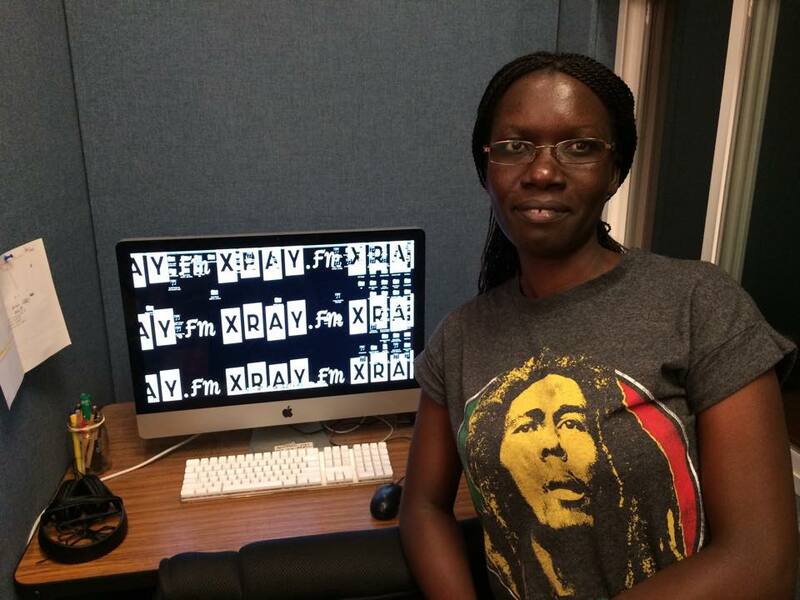 My trip to Oklahoma was part of a multi-regional International Visitor’s Leadership program-IVLP, under the aegis of the United States Department of State. As I arrived in the city my eyes could not miss the towering Devon Oil company Headquarters. 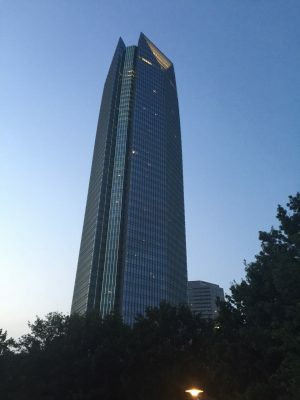 Sitting on 1,800,000 square foot with 52 floors, Devon Oil Company dominates the skyline as the tallest building in Oklahoma City. On the second day we were taken on a quick guided tour through OKC by one of our hosts, DG Smalling. One look at DG, as he is popularly known, is enough to tell he is a typical cowboy; long hair, tight jeans; the boots and cigar just confirming what I have always heard about cowboys. I found him very knowledgeable, as he took us through the history and life of Native Americans. The Choctaws, Chickasaws, Creeks, Seminoles and Cherokees make up what is known as the Five Civilized Tribes. But there 39 other recognized tribes. When in Oklahoma you can easily notice the influence from the Indian cultures of the Five Civilized Tribes. 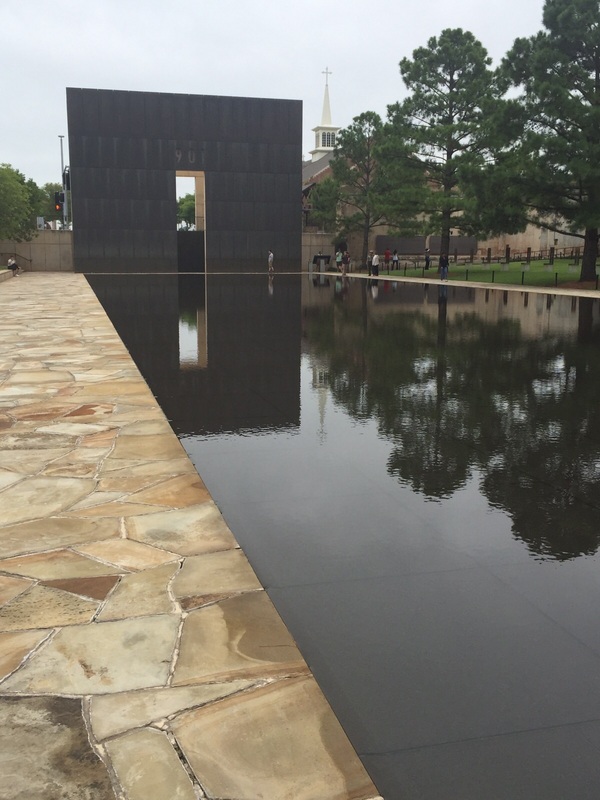 Our first stop was at The Oklahoma City National Memorial and Museum in downtown Oklahoma City. Here the visitor relives the tragedy that befell the state in 1995. April 19, 1995 began as any other ordinary day. Little did anyone know that it would turn out to be horrific until Timothy McVeigh set out to bomb the Alfred P Murrah Federal building. 168 people died in this domestic terrorist attack while more than 680 others were wounded. A tour of the Museum takes you back through that tragic moment. A somber mood fills the air inside the Museum as you listen to the tales of the catastrophic story through images, pictures and voices of family members, survivors and heroic rescue workers. Several newspaper reports about the bombing give the visitor information about this sad event in the history of Oklahoma. Visitors quietly and slowly walk through the huge museum as Radio and Television reports about this horrid experience in American history are replayed. The museum has a collection of paraphernalia that belonged to the terrorist Timothy McVeigh. A car that McVeigh used in his vain attempt to escape arrest ; a 1977 Yellow Mercury Marquis; well preserved and unspoiled, is part of the exhibition in the museum. Other items include a pistol he was found with at the time of his arrest, a jacket he was wearing, the phone he was using for communication, ear pieces and pieces of paper containing his notes about the attack. The debris, concrete bricks of what once stood as the Alfred P Murrah federal building, broken chairs and mangled doors are preserved to show the damage. 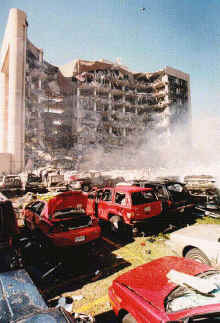 Timothy McVeigh was tried and convicted in 1997. He was executed by lethal injection in 2001. “We come here to remember those who were killed, those who survived and those changed forever. May all who leave here know the impact of violence. May this Memorial offer comfort, strength, peace hope and serenity” reads one of the writings on the walls at the museum. Besides the museum there are other attractions that would make your trip to Oklahoma City a memorable one. 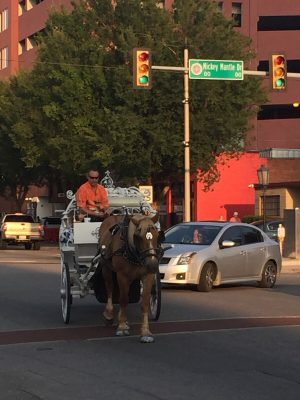 Come with me to Brick Town where horses share the roads with vehicles. Well decorated and illuminated at night, these beautiful horse carriages are eye candies for the visitors. They can be spotted on the streets throughout the day and night in Brick Town giving it a very unique look. These can be hired for just a joy ride around town or for special occasions such as a wedding. 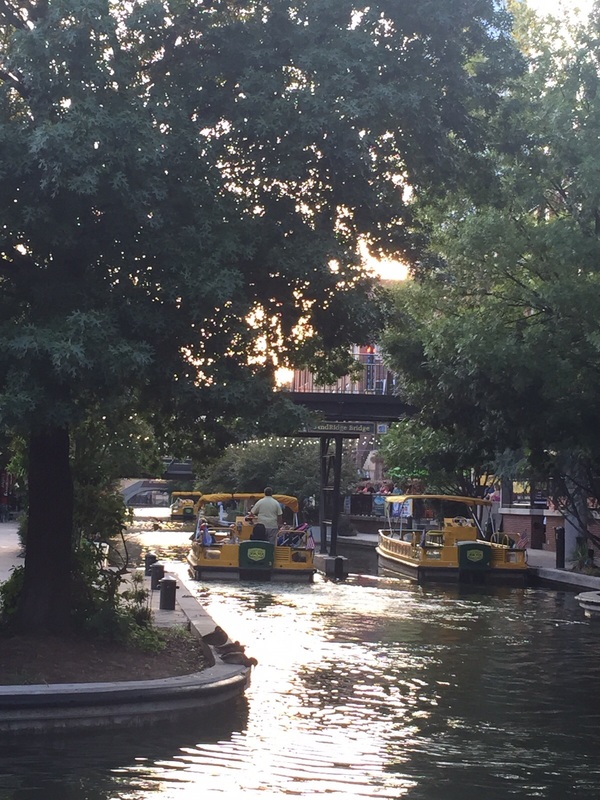 Brick Town Water Taxi is another popular attraction in downtown Oklahoma City. With the main dock below Mickey Mantle Drive, the Water Taxi runs a service like a bus. The Water Taxi operator/ driver, who also doubles as ambassador, narrates points of interest to passengers as they ride down the Bricktown Canal. They are very entertaining too. Tourists and locals alike take the Water Taxi to see the sights and sounds of the town as you float away on a round trip that can last about 40 minutes. For the lovers of meat, Oklahoma State is the place to go. Oklahoma City ranks as one of the eight primary livestock markets in the United States. Cattlemen’s steak house in Stock Yards city which is just minutes from the city offers the best mouthwatering steak. The rib eye is delicious and I would recommend any traveller if not vegetarian to try it. At the Toby Keith’s, a bar and grill I love, we were treated to the taste of calf fries. Wondering what they are; these are fried bull testicles. The calf fries are crispy outside and tender inside giving them a great taste. The calf fries go really well with glass a cold beer. Now there were a variety but the Double Deuce, and Tecate were some of the finest beers. Chelino’s restaurant presented a chance to try out the authentic Mexican food and drinks. Nothing beat the delicious taste of a cold horchata, a drink made from rice. The people in Oklahoma City were very friendly. We had a great time sharing experiences, meals and drinks during the home hospitality sessions with wonderful families that hosted our team. If you want to have fun outside, especially in the summer, the Myriad Botanical Gardens is highly recommended. It is a good place for a picnic, a family day out with its well mown grand lawn giving you that direct feeling of Mother Nature un-defiled. The City has a population of 591,967 people. It is home to the Thunder Basketball team. Oklahoma City is the location of two of the largest high gravity oilfields in the world. More than 2000 wells, some more than a mile deep, adjoin or are within the city limits. The city is an important aviation center. Tinker Air Force Base is the largest supply and repair depot in the world, and the FAA Aeronautical Center is at Will Rogers World Airport.